Digital marketing, best digital marketing, digital marketing in agra, PPC Management | J2 Soft Solutions India Pvt. Ltd. | J2 Soft Solutions is the best business promotor in acrros india, north india best digital marketing company, dedicated team working, everything is one roof solution, best website development company, J2 Soft Solutions is best platform to develope your business. At J2 Soft Solutions, we follow a PPC Management (Pay per Click Advertising) methodology specially planned to help clients achieve their Search Engine Marketing goals. Our Pay Per Click Management Services are customized for major AD publishers : Google Adwords / Yahoo Search / and MSN Adcenter. 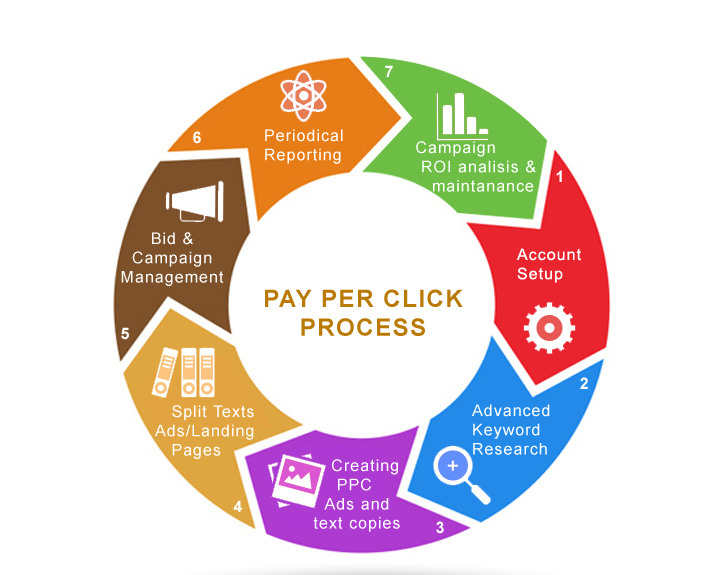 Being a noted PPC Company India, we understand the functioning of various PPC platforms and their impact on campaigns. Our PPC Experts ensure that you get best returns on your PPC investment. Pay-Per-Click advertising is widely seen as the most accountable type of online advertising. It lets you set a budget and pay only when a visitor clicks on your ad to visit your website. With this in mind, we have priced our plans as per the budget of the campaign. All our plans are devised with the motive of generating maximum value for your money and ensuring good Return on Investment (ROI). The pricing of each package is based on the budget of the campaign. Highly analytical and result-focused, our PPC management India helps our professionals to design, implement, run and evaluate exclusive Pay per click management campaigns. While the process remains the same with set guidelines, the campaigns are customized accordingly to address the unique requirements of the projects' varying objectives. The methodology saves us from getting involved in anything less important and keep us on track all the time. Our publisher's network comprises some of the biggest names of the industry, primarily, Yahoo Search Marketing, MSN AdCenter, Google AdWords and more. We welcome startups and budding entrepreneurs to sign up for a free account and have their ads designed and placed on any of our advertising tools to promote their business online. Having their own set of qualities, these PPC campaign Management tools are best in delivering quality traffic to the websites. At BrainPulse, we cover the entire spectrum of PPC management services India; necessarily covering sponsored and content page advertising as offered by Google, Yahoo, and MSN. Mentioned below are the activities that are carried out on regular basis by our Campaign management Experts. These collectively help in delivering return on investments (ROI) and meet your business objectives.